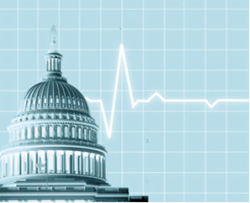 Most effects of health care reform won’t play out until 2014, but there are some important changes happening this year that small business owners should know about and try to capitalize on. If your business meets this criteria, you can apply up to 35% of your health insurance premium expense as a 2010 federal tax credit. By 2014 this 35% tax credit will expand to 50%! The intent of this component of health care reform is to provide small business owners relief from the high cost associated with providing quality employee benefits. It will probably also encourage small business owners to pay a larger percentage of their employees’ health insurance, which can make a difference by encouraging more employees to enroll. To some employers who haven’t offered group health insurance before, this tax credit may be the impetus to start employee health benefits for the first time. I continually work with my existing clients to help them realize the most positive effect from this program. I especially enjoy working with prospective new health insurance clients to help them leverage this tax credit to make company health care benefits a reality for the first time. In general, I’m cautious when looking at the long-term effects of how health care reform has been implemented. I think the program is well indented but that it doesn’t do enough to address the real problem, which is the high cost of healthcare. Billions of tax credit dollars will be generated through this program only to require an equal balancing dollar amount from other federal tax sources. It looks like a classic “robbing Peter to pay Paul” situation. Once you consider state and federal government oversight and administrative costs, we’ve actually increased the cost of health care in America. When determining whether or not health care reform is a good idea, we must carefully project the long term impact. But for small business owners, this tax credit that comes with health care reform is not to be missed. For more information, feel free to contact me: JimHoughton@ahsnh.com. And be sure to check with your tax accountant to understand how this program could benefit your specific business.